As cat guardians, we know our cats use nonverbal and verbal communications to convey messages to us constantly. They seem to be most direct when our cats are demanding things. However, one of the most important sentiments they are trying to tell us is actually quite subtle. 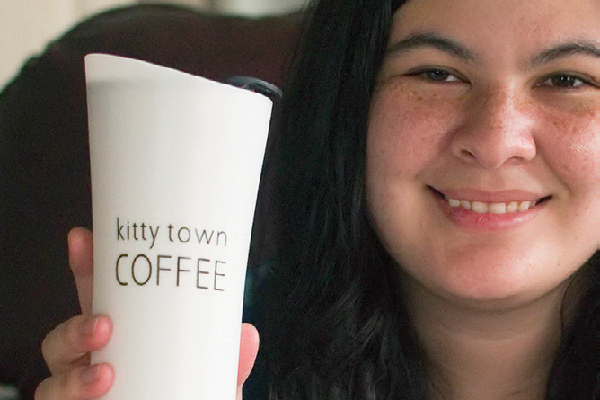 The cat slow blink is one message no cat parent wants to miss. So, what is the cat slow blink and what exactly does the cat slow blink mean? Let’s learn more about cat blinking from the experts. 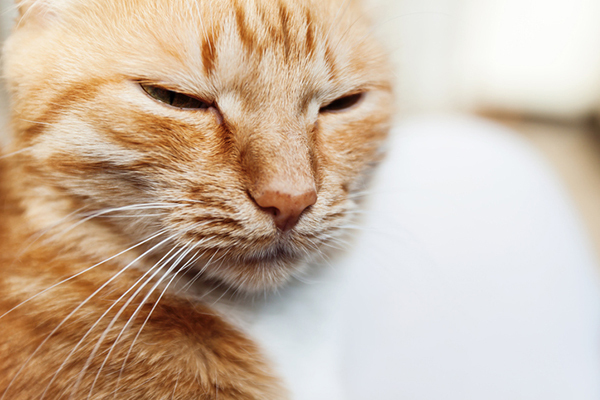 Is it a true cat slow blink – or something else? Is it a cat slow blink or something else? Photography ©KandM-photography | Thinkstock. Cats blink to spread tears over the surface of their eyes to remove dirt. This action is quick and is not the same as the cat slow blink. The cat slow blink is when your cat looks at you and slowly and intentionally closes and opens his eyes. To determine the difference between a regular blink and a slow blink, observe your cat’s body language from his ears to his tail. His body should read as chill because a true cat slow blink only comes from a comfortable kitty. In addition, Dr. Delgado recommends looking at your cat’s pupils during the cat slow blink. Cats’ pupils dilate in response to light, but they also dilate when your cat is anxious. Depending on the lighting, a true cat slow blink includes normal pupils. This is key because the cat slow blink is sharing a very clear message with you . Jackson Galaxy, cat behavior expert, says there are some pretty strong feelings behind the cat slow blink. He calls it the “I Love You Blink.” Galaxy says the cat slow blink is when cats and people are wholly opening up to one another in sharing affection because when the cat closes his eyes he is allowing himself to be vulnerable to his person. Cats also greet their kitty cat friends with the cat slow blink, aka “cat kisses.” Cat blinking is one way for sure to know your cat loves and trusts you completely — which is what every cat parent wants to hear! So, your next question is: How do you get your cats to slow blink? How to get your cat to slow blink? Don’t stare too much! Most cat parents approach their kitties with overwhelming amounts of love and affection. Who wouldn’t? 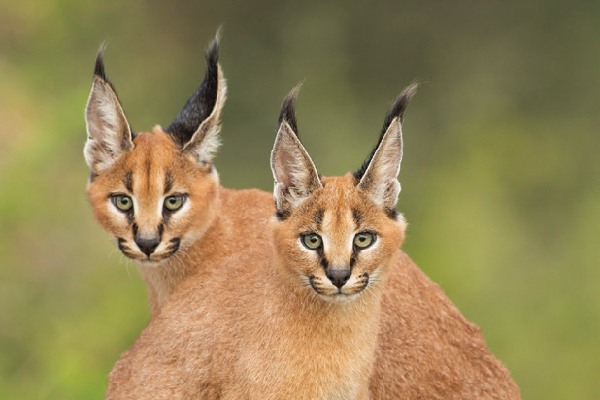 Cats look like wonderfully adorable cartoon characters that were created by Walt Disney himself! You just want to pick them up, hug them and stare deeply into their saucer eyes … which is the worst thing you can do to get your cat to slow blink. If your cat is slow blinking, be sure to blink back! Photography ©~UserGI15633745 | Thinkstock. The best way to initiate a cat slow blink is to first have your cat come to you. Take a few deep breaths and feel relaxation over your whole body. 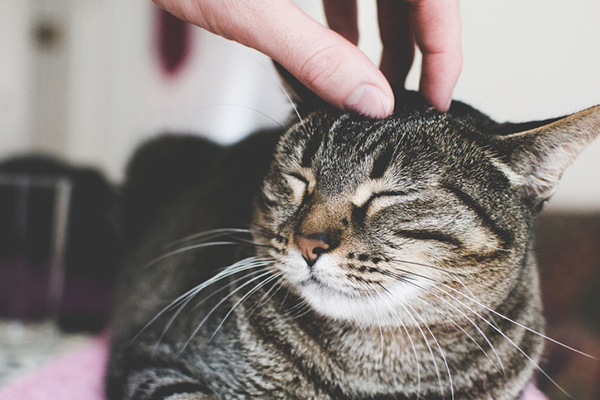 Your cat picks up on your energy, so feeling as peaceful as possible is important. Don’t hover over your cat. Look in his general direction with languid, relaxed eyes and slowly blink. He should respond with a slow blink in turn. 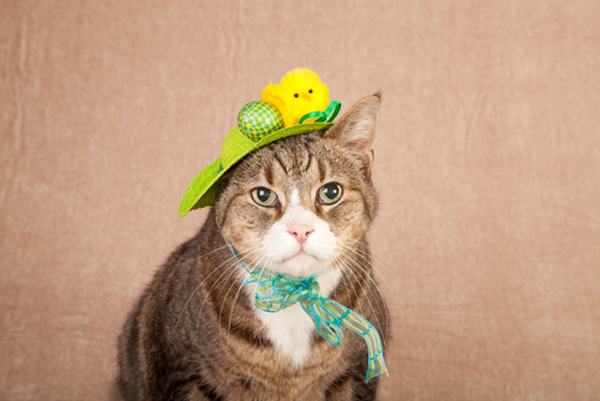 If your cat is less socialized, work on play therapy to get him to feel more confident in his environment. The cat slow blink helped me once. I adopted an under-socialized 5-year-old Siamese after her elderly guardian passed away. We put Tivali in her own room, complete with tall cat trees and cat condos. She hid a lot. For a month, I slept in her room. The scared cat slowly started to come around. I never approached her or looked directly at her. But after the first week, she would come closer, until she was touching my face with her face. I started doing the sideways cat slow blink, to be sure I wasn’t staring at her. After four weeks, she was slowly blinking back at me and ready to explore the rest of the house. 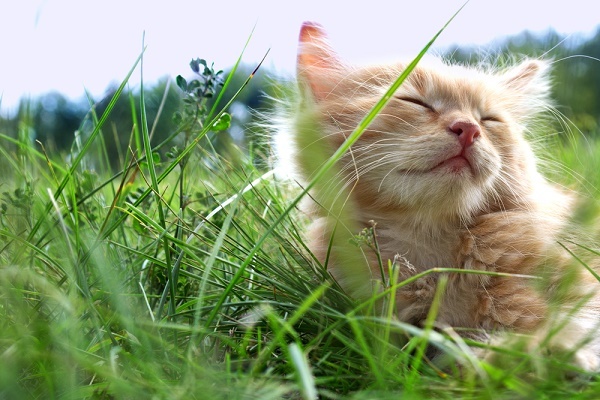 Cat blinking is all about your cat feeling safe, secure and happy. It could take some time, so be patient. And, if you find your cat blinking at you, return the compliment by slowly mirroring his motions back at him! Thumbnail: Photography ©Pshenichka | Thinkstock. 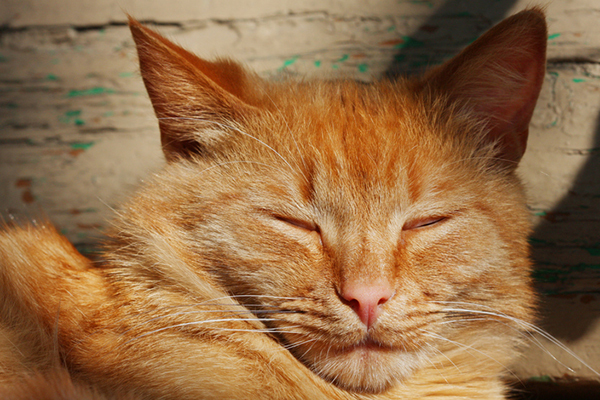 Tell us: Does your cat slow blink? Do you return your kitty’s slow blinking? What Do Different Cat Meow Sounds Mean? My cats have never slow blinked me, no matter how relaxed we are, and no matter how much we cuddle. I don’t think my cats have read the literature on the cat slow blink. Flower & Storm have always slow blinked me. I do it right back & then pet them. I’m a tall, big gal. They LOVE to lay on me. I suppose all my “real estate”is a comfy, soft warm place. My kitty Milo who’s 12 years old and I’ve grown up with, has always slow blinked at me and Ive always blinked back but I’m glad I finally know what it means!! My kitty has never bit me for the 12 years I’ve had him and he is ALWAYS purring when I’m around and I use him as a pillow because his purring helps me sleep, if you are ever debating getting or keeping a cat, you should TOTALLY get one because despite the stereotypes cats are amazing and lovable creatures! What does a cat winking at me mean? My last 2 cats did that often. I always winked back. How do I get my cats to slow blink? I look at them, slow blink and they slow blink back. If I see them slow blink first, I slow blink back. The cutest one is my little girl Angel. She likes to fall asleep in my lap, but only after laying on my wife’s tummy. It’s a routine that must be followed! After she get’s in my lap, she will twist her head around, give the slow blink, then rest her head on her paws. That’s her signal for me to tell her a story. She won’t go to sleep unless I talk to her. Funny how these little creatures have their own little habits. I used to blink to Chad since he was born. Although he gets a little scared when I clean up, get home and start singing or when I’m overly excited, he knows he can come cuddle anytime whenever i’m sitting or laying in bed. I feel like he trusts me and I can trust him too. He blinks when I say his name or compliment him. My cat, Jackson Bear, was less than a year old when some fool abandoned him. He is a smart cat and found a neighbor who likes cats. He sdimply lived in her backyard for a year. She fed him but couldnt bring him inside as she already had 3 elderly female kitties. When I met her, I met Bear, who came running up to me right away. He was very friendly with me, and this surprised the woman who told me he is scared of everyone but her! Well. He was not scared of me, and after thinking a few days and going back to visit, I decided to adopt him. Best decision I ever made. Bear is one of the sweetest, most loving cats….ever. It took him over a year to feel safe enough to relax, but eventually this happened and he is now one of the happiest little cats (well, not so little – 15 lbs!) I have ever known. He slow blinks me quite a bit, but he has many other ways he shows his affection to me. And yes – he is still scared of almost all other humans except me! I have figured out now that the trauma of being abandoned affected him very deeply. People who do things like that – well, you dont want to know how I think they should be punished! I also have done the slow blinks with my rescued cat…One thing she does that is weird is she (in the morning while I am still in bed) nibbles at my head thru my hair!…She is very gentle while doing this nibbling….Is this unique for a cat? We just got a new to us 5 month old Tom, who was rejected by his old owner for no longer being a cute kitten. He is a lovely young cat, full of purrs and slow blinks. He was very bitey, but after 2 weeks of No Biting, they have mellowed to love bites with corrections when he gets too rough. Yeah, I think they played rough and then his adult teeth came in. Owie. He’s calmed down a lot since we’ve gotten him though. Lots of slow blinks. He loves to get that kind of attention. simba is only about 5mths old but gets right up close and personal with affection including touching noses for “kitty kisses” and smooching our cheeks he even jumps on our lap when we sit on the toilet!!!!! My inside cats give me eye kisses but the one that surprised me the most was one of the ferals from outside that is the dominant male gave me eye kisses when I was sitting in the woods. I had tossed a few treats to him he ate them and came a few feet from me and curled up. Stayed with me for over an hour, whenever he looked at me I got eye kisses. I think he was just grateful to have a human that really cared.